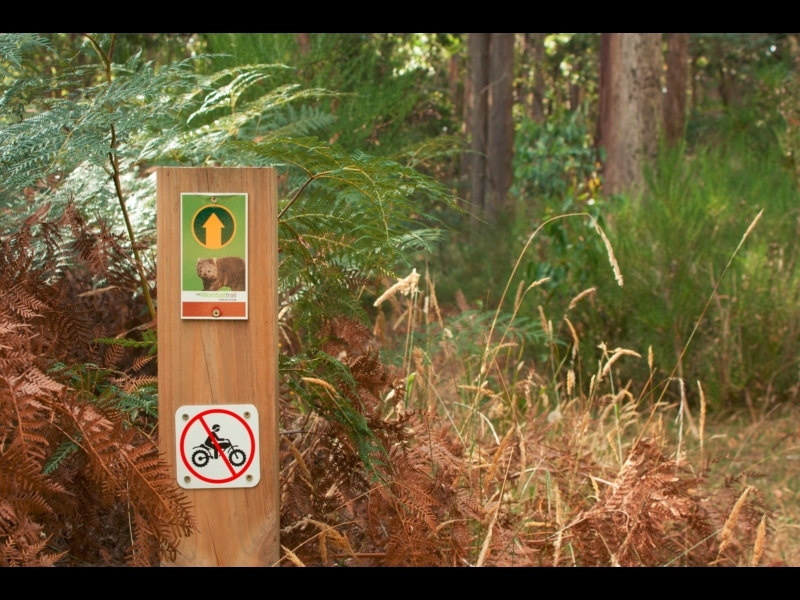 A two-hour loop of Trentham that leads the walker through the forest and small reserves that surround the town. 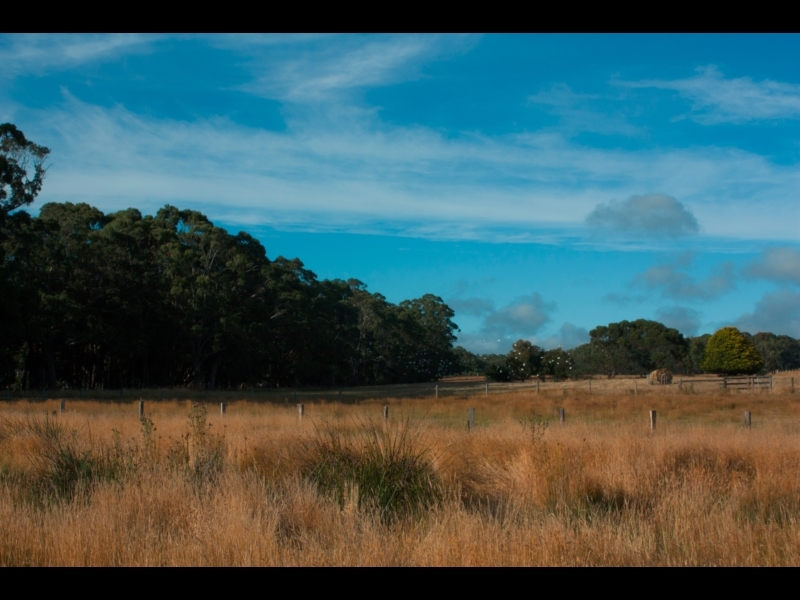 Approximately a 70-minute drive north-west of Melbourne's CBD, Trentham is a small town on the edge of the Wombat State Forest. 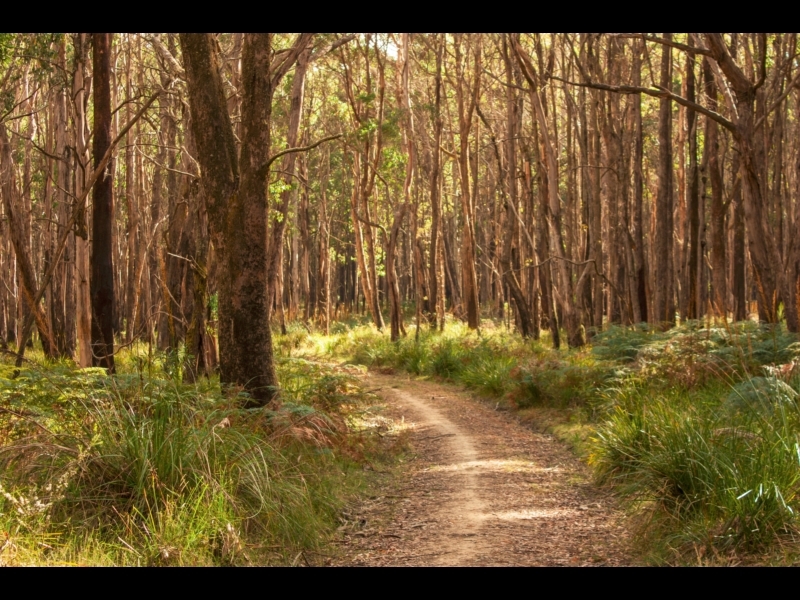 There are a number of small reserves and walking trails around town, and the Wombat Trail, a loop of approximately 8km, takes the walker right around the edge of the houses into the surrounding bushland. 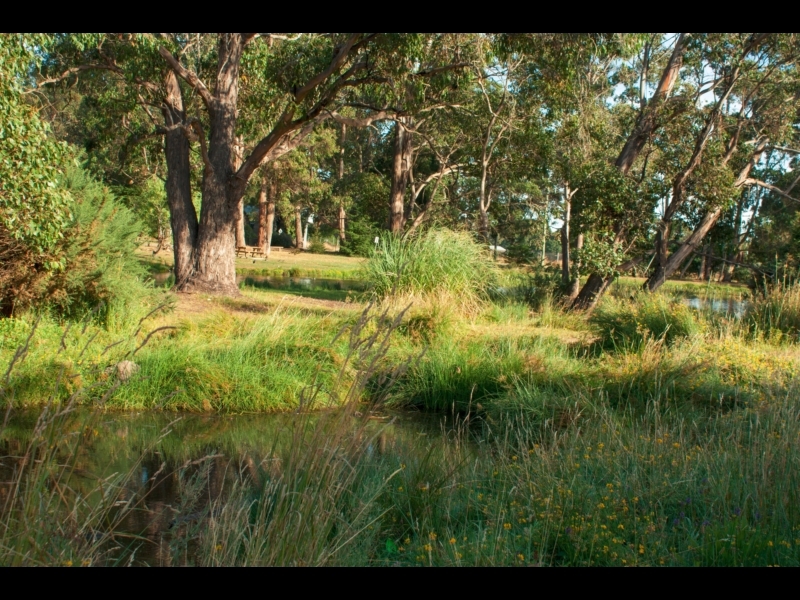 A peaceful park surrounding a pond that many waterbirds have made their home. A good spot for a picnic. 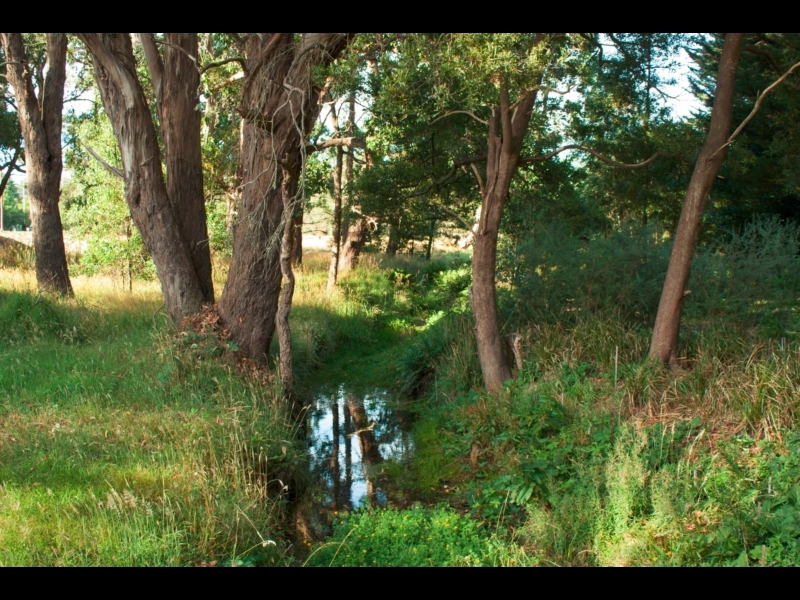 A patch of bushland along a creek which is well managed by the local community. Birdlife is abundant around town. Here, a flock of corellas sweeps up into the trees above a paddock beside Stoney Creek Reserve. 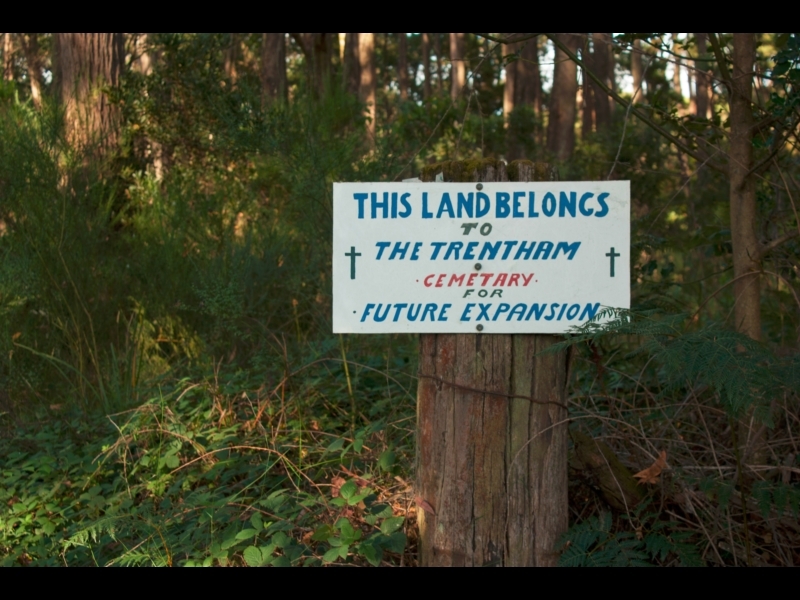 Though you won’t walk through the cemetery itself, the trail passes through land owned by the cemetery, alongside its boundary fence. 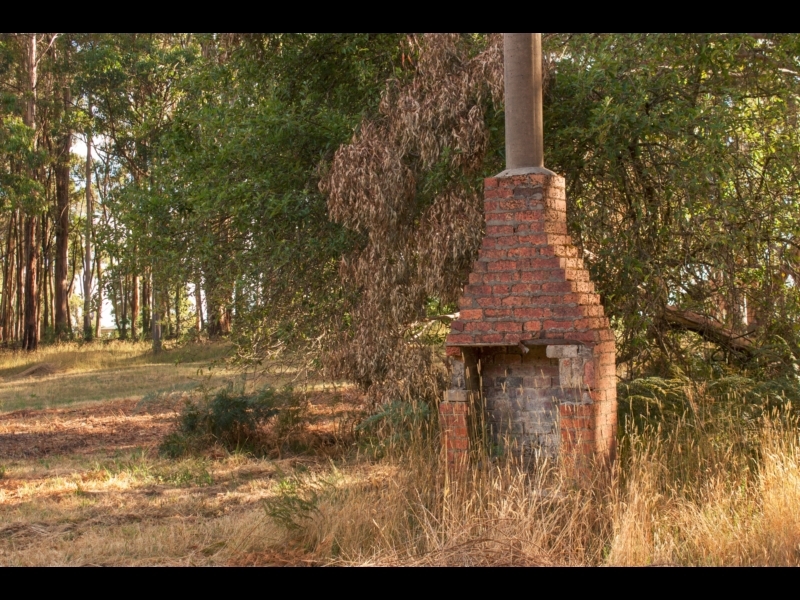 Just beyond the cemetery, an old chimney stack stands alone in a patch of grassland. All that remains of the Trentham Racecourse is this walking trail, which follows the original curve of the racetrack. Consistent signage keeps you on the right path throughout. 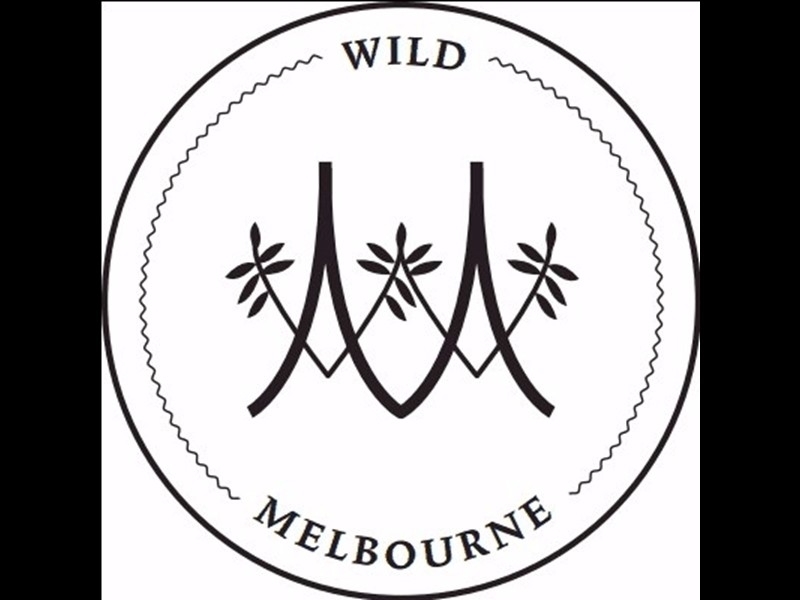 This walk was completed by Wild Melbourne, a not-for-profit specialising in nature engagement and dedicated to connecting people with nature. Please visit our website to find out more.